It's time to create your own fantastic nightclub story! 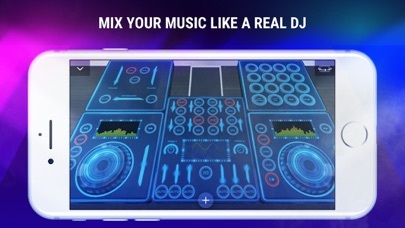 Meet brand new Party Mixer 3D and become a real dj master! 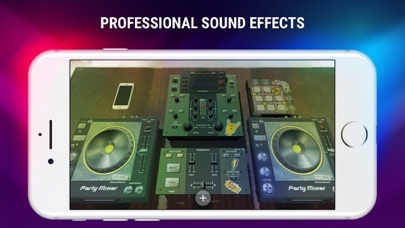 Powerful dj mix maker in 3D edition. NEW SOUND and EFFECTS Brand new original and powerful sound packs, don’t forget to use crush, filter, flanger, roll, tape stop, pitch effects for perfect sounding! Create amazing music tracks with the help of different buttons and regulators: play/pause, cue, tempo, loop, sync, volume, crossfader, rec, magic crossfader, equalizer and other! 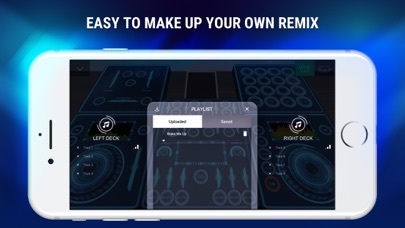 UPDATED DESIGN and ABSOLUTELY NEW DJ SETS New sets and updated interface will allow you to easily make your own remix music with your favourite song anytime & anywhere! User-friendly music maker board for pro musicians and beginners. Ready to rock your next party with Party Mixer 3D? Check it out! Not working. Waste of money. I hate this app because you have to pay for everything. I paid 21$ this morning to make a mix! Has no sound and my song will NOT load..... what’s going on.